Pain at the back of the ankle is one of the most common complaints I see in dancers. The position of full plantar flexion (plantar flexion is the technical name for the motion of pointing one’s foot i.e. en pointe, degage/tendu, en rise) is not a “normal” position for the ankle to be in and requires an extreme amount of motion in the ankle. The action of extreme plantar flexing of the ankle joint creates a compressed position of the hind foot, mostly at the talocrural joint. This results in reduced space at the back of the ankle. 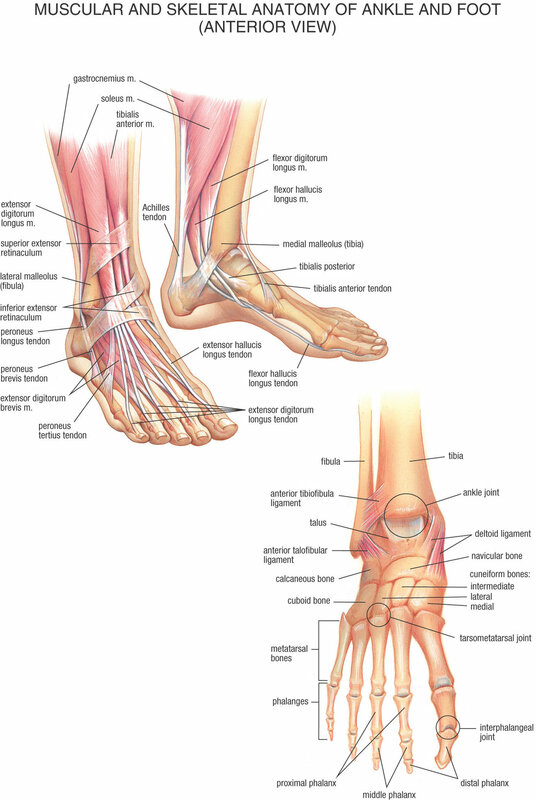 There is a “highway” of tendons, ligaments, nerves and blood supply that pass the back of the ankle and much of the pain that dancers experience in this area is due to inflammation and swelling. If the tendons that run through the back of the ankle are inflamed, they take up more room than usual, and so get even more squashed when you point your foot causing a posterior ankle impingement. Pain at the back of the ankle is not something that dancers have to live with, nor should they think it is a normal thing. Initially rest to settle inflammation combined with appropriate exercises can make a big difference to symptoms. Working closely with a dance physiotherapist or healthcare provider can ensure you progress your rehabilitation in a dance specific way finding a balance between returning to class work and ensuring that the injury does not return. · Soft tissue massage to release tight calves. · Pelvic stability and core activation exercises. · Gluteal activation exercises and retraining walking and normal movements. · Stopping pointe work for a time. · Using heel cups or soft orthotics in street shoes. If an Os Trigonum is the cause of pain, depending on the size and the level of the dancer, it can be surgically removed. A specific rehabilitation and training program is then undertaken in the weeks and months following the surgery to ensure a safe return to class. Return to class should be taken gradually as symptoms settle. As posterior ankle pain is usually due to an overuse injury it is important to monitor symptoms and technique to ensure pain does not return. And remember; always be guided by your physiotherapist or health care professional.